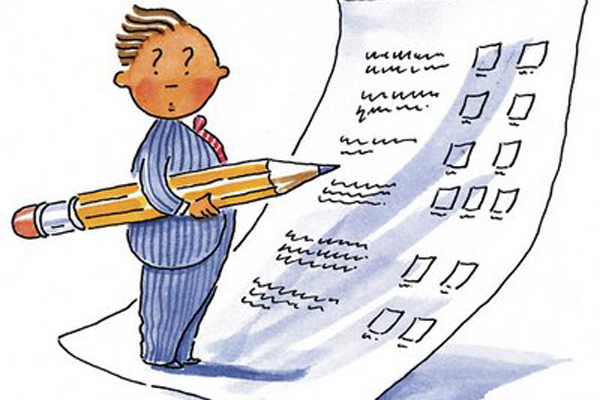 Now is the perfect time to look back and see how the year went and what might need to be done differently in the coming year. The folks at Clipart Library have some great images for looking back at 2016. I've chosen them for this post, but they have other topics worth checking. There have been weekly posts here, including 31 segments of the popular Keeping the Public in Public Domain stories, although I've also sometimes told other stories, too. I've noticed it has become popular reading for our U.S. service members. I'm happy to give them something to read during those times when some entertainment is needed. I love the research and time travel of Historical Storytelling Programs - my program as Liberetta Lerich Green and the topic of abolition, the Underground Railroad, and the Civil War has been popular for many years, but this year I particularly remember the small town of Mecosta packed the hall and were very enthusiastic. Another of my historical programs, this one about World War I had preview programs and a debut. I'm excited to tell about the "Hello Girls" as Marine City bilingual telephone operator, Oleda Joure Christides. This is as much a story of Women's History as it is for the coming centennial of the U.S. in this often overlooked war which moved our country into playing a role on the international scene. I'd heard about the Jesuits for years, but this past year let me tell to them as both Liberetta and Oleda. There was nothing retired about the intellect and good wit of these "Jebbies" and I hope to have even more opportunities to bring my storytelling to them. Other adult programs included a two hour spooky storytelling around a campfire. 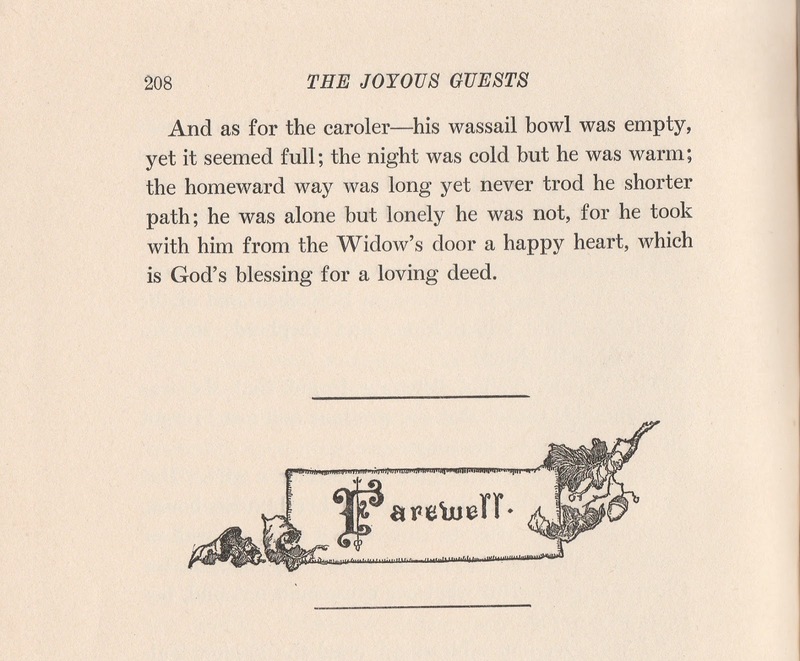 It let me try out some of the Lafcadio Hearn stories I've posted here. After two hours I found myself realizing how many spooky stories I know, but didn't get to tell! An aunt died in 2015 and I had the opportunity to do memorial presentations both in Las Vegas and at the ancestral burial plot in Bloomington, Illinois. Yes, I enjoy telling for adults, but worked for a great many years with children, so there was plenty of that, too. Some of my favorite programs were return engagements, including the many schools for the Jackson Storyfest. Jackson is a truly diverse county, with urban, suburban, and rural communities. Definitely urban is Detroit and it was wonderful to have a Detroit Public Librarian bring me back. She had a library with no air conditioning but fans on a meltingly hot summer day, yet those families stayed right with me and my puppet sidekick! 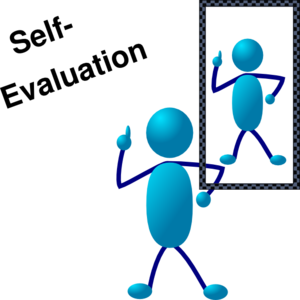 Now is the time for thinking ahead to 2017 with new projects and room for self-improvement. Publicizing programs is a never ending job, especially as I look at my Hello Girls program, both because of its limitations for the time of the historical centennial celebration, but I see it as so much more because their 70 year battle for recognition makes it a perfect example of Women's History, although it's already been enjoyed by men, too. That program left me unhappy with its debut on audio-visual problems in a room with too much light for our equipment. Help came from Dennis Skupinski, who has the YouTube channel, WW1 Centenary Michigan, which urges you to Give the First World War a Second Look. His flash drive of WWI scenes and music lets program sites have an option for larger rooms. 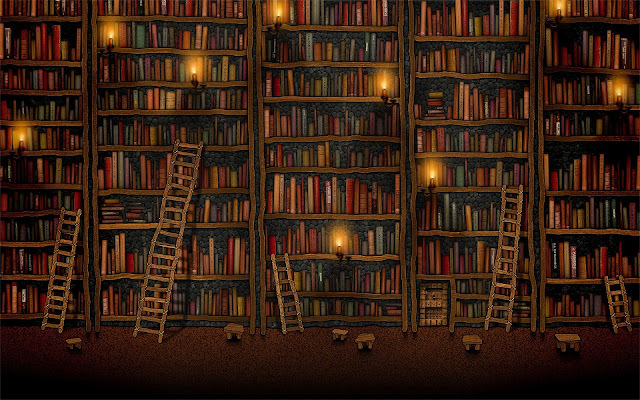 I also need to contact libraries in small towns for an unusual project that can come to them at very low cost to the library. Summer Reading Programs in libraries value literacy, but variety performers like puppeteers and magicians draw larger audiences. This is why this blog has had several (13 so far) articles on puppets, including puppet sidekicks. This year Priscilla Gorilla will once again accompany me. It also permits audience participation. American Sign Language is the third most used language in the U.S. and students say they learn even more from my storytelling in voice and sign. I need to promote more my introductory programs in it. The program is very flexible and can be for children or adults, from a one-time program or a series. I am the Michigan state liaison for the National Storytelling Network, but always find myself feeling as if I should do more to spread the word and also work with our state's members. One of the things I love about my work is its variety and creativity and how I never know what's next. Of course, I plan to continue offering stories in my Keeping the Public in Public Domain segments. With 52 weeks to the year, this past year's 31 segments seems just about right to me. With all of this I plan to keep my storytelling always moving from Good Enough to Better and even Best. O.k. you don't tend to toot a Native American flute except for occasional short fast notes, but how do you play it? I've pointed to its improvisational nature, but you need to start somewhere. 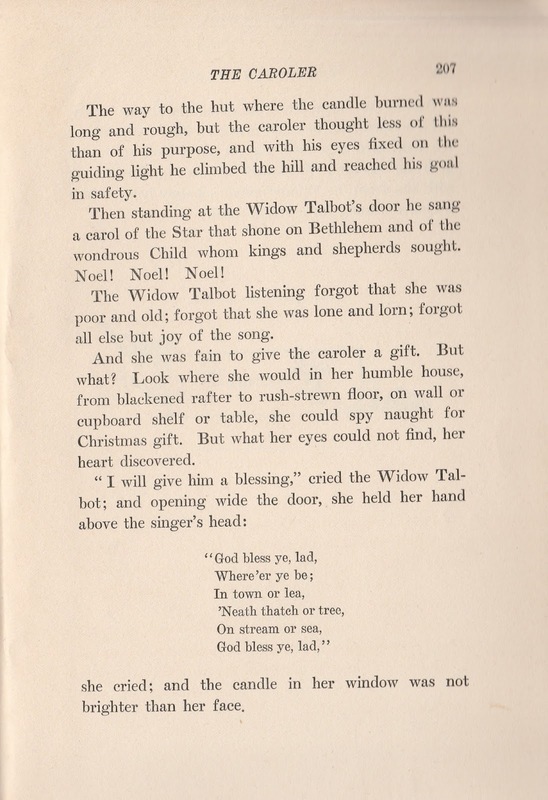 The traditional story about having a bird or dream lead the first player to a hollowed out branch, possibly with holes pecked by the woodpecker doesn't tell enough about how the player figured out how to play -- and court with -- a flute. The flute will make one sound if all the holes are open and yet another with the pads of your fingers completely closing all the holes. In between the two is the scale of your specific flute and its own sound, usually a minor scale. There are many names for the block that slides back and forth. My teacher just calls it "the bird", no matter if it is carved as a wolf, bear or whatever and I will do the same here. 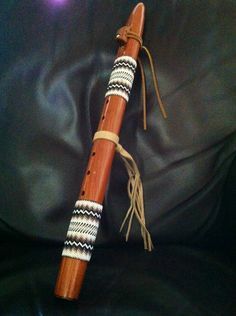 Except for the beginner flutes I mentioned last week, a Native American flute usually has a bird and you need to slide it to its sweet spot where the low notes aren't too breathy and the high notes don't fade away. Experiment with it each time you go to play to be sure it's in the best spot letting all notes sound clearly. The leather holding the bird may need retying and may have moved since the last time you played. (Now do you see why I recommended a beginner flute made to be played without a bird?) The bird adjusts the flute's air flow and should be snug. Note the strip in the center making this a 5 hole flute. Put the holes on top and your thumbs under the flute, using your three middle fingers on one hand for the bottom three and the same for the top three with your other hand. (Experiment with which hand goes up high and which down.) Many people wrap a cloth or leather strip around the lowest of the three top holes even though they still cover it with their finger as it + thumbs holds the flute when all five holes are open. Because it's a half note outside the pentatonic scale, it's a difficult note to use. I find it's easy to forget and accidentally play it when it doesn't fit a song. If your flute has only five holes, this "advanced" hole is omitted. It doesn't look like "training wheels" and if your flute had five holes nobody else would know. Play the scale up and down a lot to get used to your flute. I have a bad habit of lifting my fingers high. Possibly too much piano technique? Try to keep your fingers near the holes ready to close them and you will avoid flute problems like not closing a hole completely. It also lets you play faster when you need it. Use the least breath possible. O.k. the scale is a tool to know your flute, but then what? Think about various things in nature and try to play it. Obviously the wind and wind-blown objects like leaves fit, but so do the various animals and insects, water, trees themselves, a floating feather, the sun, or the sensations on a walk. Don't be afraid to have variety in your notes, letting tempo vary, and also using rests or silence. To give your song structure, try to remember your opening, so that you can return to it, possibly slower, at the end. 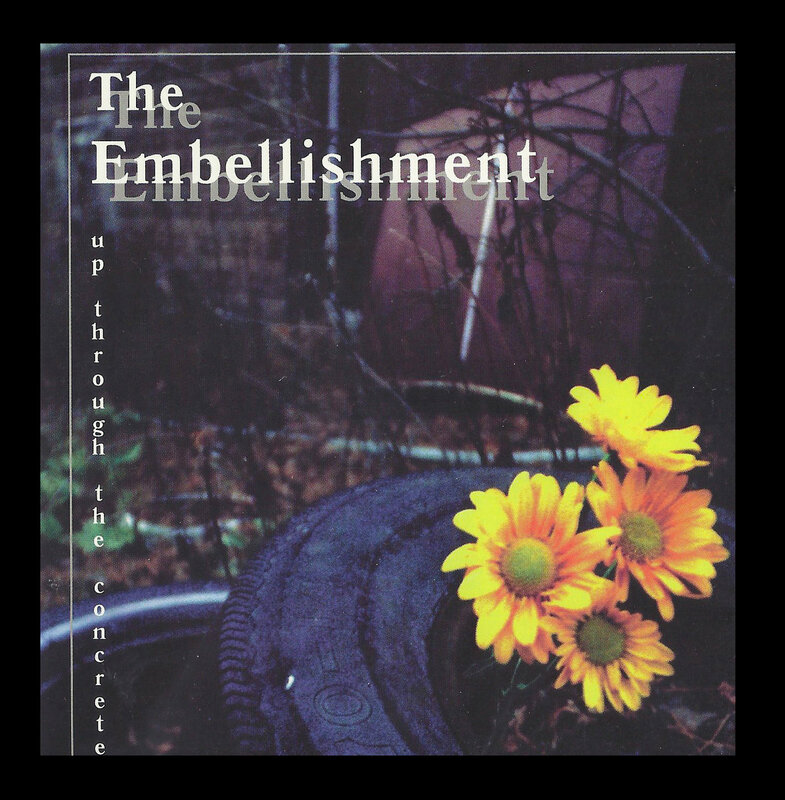 EMBELLISHMENTS -- A topic all its own, just remember not to over-do. An embellishment should be kept as something special within a piece. Throw in too much and it's no longer special. Last week I mentioned Flute Circles, a great way to grow and learn from others. Duets there or just with another player is also a lot of fun. 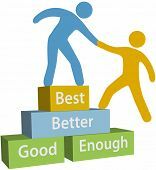 One player should choose to take the lead while the other agrees to accompany and follow along. 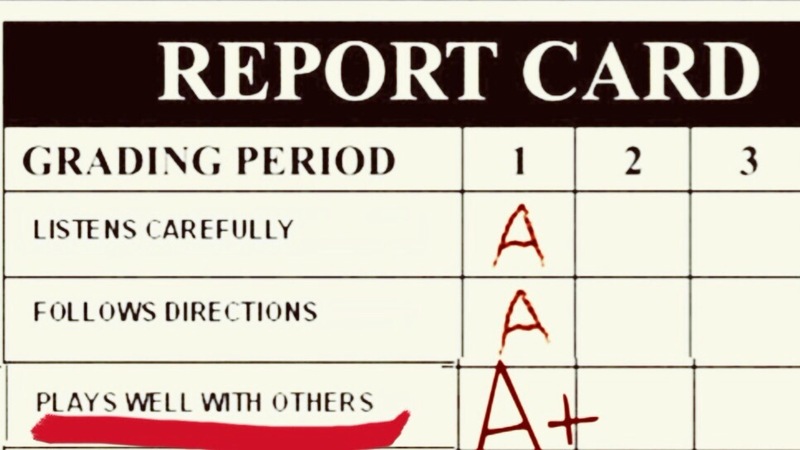 You can also agree to take turns. If something sounds wrong, just remember to avoid it in the future, but keep playing. The simplest pairing is with both flutes in the same key or an octave apart. This uses the musical "Circle of 5ths" and flutes are minor scales. For more about this, Flute Tree's Harmony Wheel gives a fuller discussion. It also mentions the assumption of flutes being "concert tuned" and suggests checking since not all makers will be to exact pitch. Drums, jingling bells, or tambourines are some other instruments to play with. I have a D-shaped jingling set of hand bells I like to play with my foot while playing. There also are bells meant to go on wrists or ankles. Moisture is normal and can usually be allowed to dry out naturally. If you have too much after playing, move the bird, cover the sound hole partially and blow forcefully. Failing that, remove the bird and wipe that area out before reattaching the bird firmly. The longer you play, you will find there's always more to learn and try. Toot that flute, how sweet! I've a "petting zoo" of musical instruments and sometimes say this is what happens when you give a Girl Scout the Dabbler badge. While I enjoy "enriching" my programs with music, I will never call myself a musician. . . when I make a mistake my comment is "Now you know why I'm a storyteller!" Music has many benefits, especially for storytellers, and the Native American flute is probably one of the most approachable instruments. Unlike guitars, ukeleles, or dulcimers, it doesn't need tuning -- although you may want more than one with you if it starts to become too wet from playing. (More on the disease of Flute Envy, which justifies having many flutes, later.) After years of being chained to notation on the piano or even voice, it is a great instrument to play improvisationally -- although it is possible to play by notes if you really can't stop yourself. At the same time, it also has its own notation or tablature that lets you return to a song you want to repeat. While only one note at a time is played, harmony is possible in playing with other flute players. Added to all of this, it's great for breath control. Ages ago I heard the reason Frank Sinatra, even though he smoked heavily, had such good breath control (and musical phrasing) was because he played trumpet. That convinces me playing a wind instrument is worthwhile, especially entering the cold and flu season. 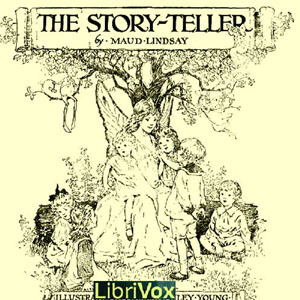 For storytellers, a flute introduction and closing can be an excellent way to transport your audience into the spirit of a tale. I'm certainly not an expert and there are still a few traditionalists who might not only question playing by non-Native Americans, but especially by a woman. 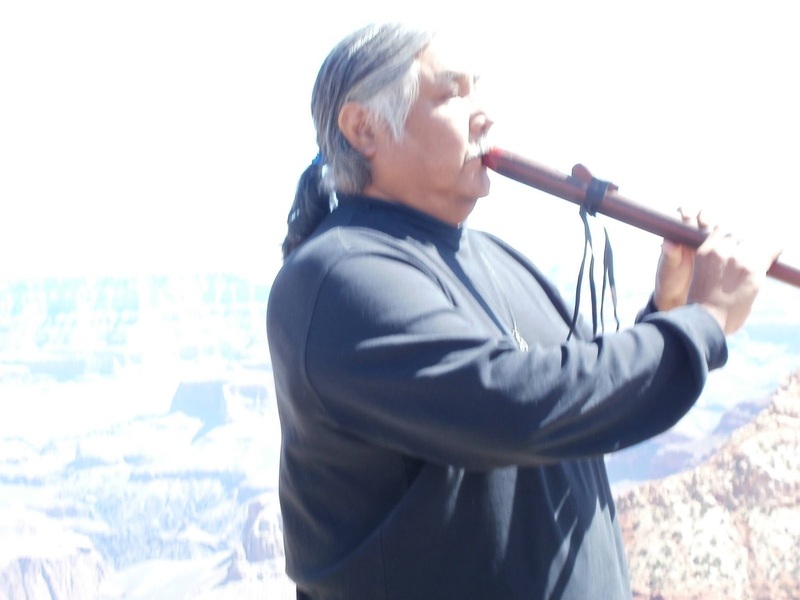 The Plains tradition of the flute as a courting instrument is not its only background, but an important part of the Native American flute heritage. 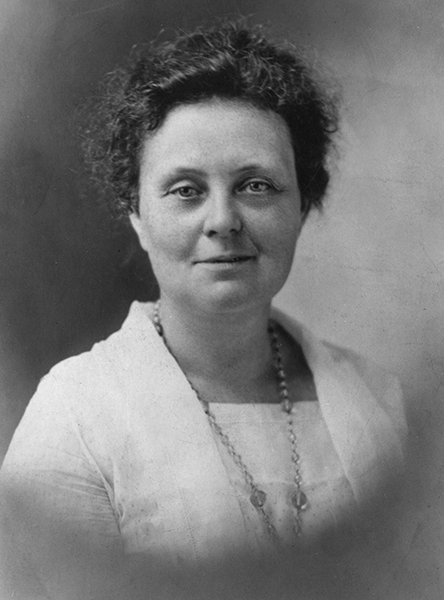 Mary Youngblood has been called the "First Lady of the Flute" yet she, too, has faced resistance. It's not easy to find on her website, but she has three articles and the earliest, a 1998 interview article, is in her press kit. It mentions that resistance, even though she has been widely recognized and awarded many professional honors, including Grammies. That early article says she is self-taught, but before we reassure -- or possibly berate ourselves -- her musicianship is firmly rooted in over twenty years of violin, piano, and, yes, classical flute. Is it any wonder the middle article, from 2003, quotes her person most admired as Hildegard von Bingen? "She was a visionary, a spiritual artist and a scholar. She was a true Renaissance woman - and very powerful!" Read just the smallest bit about this 12th century German Benedictine abbess, writer, composer, philosopher, Christian mystic, visionary, and polymath and you can see what an excellent role model she is for today when her medieval music has gained popularity. I want to give you some resources for this instrument. I recommend it as an instrument that is highly approachable without a great deal of investment in time or money -- although you may find it addictive and inclined to take more of both if you wish. Of course a good overview is the Wikipedia article about the Native American flute. 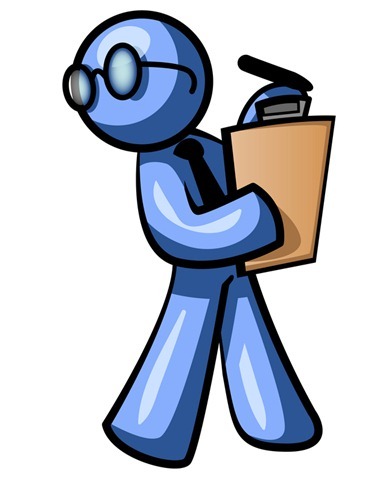 Jump down to the segment on construction as I will need to talk a bit about it. O.k. maybe I've convinced you. It's always best to try a flute before buying it, but I've a source to recommend. (No, they definitely don't pay for my recommendation.) One of the beauties of the Native American flute is its wood, BUT you need to take care of that. Also the bird or, in the illustration above, the block takes some getting used to adjusting its position. You may also wonder if you should have a 5 or 6 hole? While there are instructions online to make a flute from PVC, I don't recommend it. Northern Spirit Flutes offers plastic beginner flutes with no messing with the bird, nor worries about wood and moisture. They even offer kits for 25 or more students. Their flute also would be an inexpensive instrument to take on a flight. Theoretically it's not a problem because of this U.S. Department of Transportation ruling BUT, aside from carrying that with you, it won't work in another country. I know. I swear some places use their authority to keep items the inspector wants. Many U.S. armed service members read this blog and this would be a great way to take music along. It's simple enough, once the bird and wood aren't a factor, for a child to play -- better than a recorder! Storytellers, you've heard my sales pitch. I play other instruments, too, but the simplicity, portability, creativity, and more all recommend it! Last week I gave a flute story. Next week I will give ideas for ways to play your new flute that other players have shared with me. Since this is such a perfect gift, for yourself, your audience, or to give to others, I find turning this into a multi-part series for December is appropriate. I didn't plan it that way. I improvised. Native American flutes are great that way. Returning to Mary Youngblood, I love her website opening by quoting her, "I am simply a vessel between Creator and this sacred instrument, the Native American Flute. Listen with an open heart and you will hear the whispers of the Ancient Ones. May their timeless voices soothe your soul." Listening or playing, you can't miss the soothing quality of the flute. Deep breathing is a method of calming yourself and the flute can add even more to that, whether anybody hears you or not. The Native American flute has a haunting sound and I love to play it in the traditional improvisational style. It makes a great beginning and ending to Native American tales; playing it without pre-planned notes runs counter to my years of music training dependent on notation; and additionally playing a wind instrument is good for breath control, especially good for working against the cold and flu season. 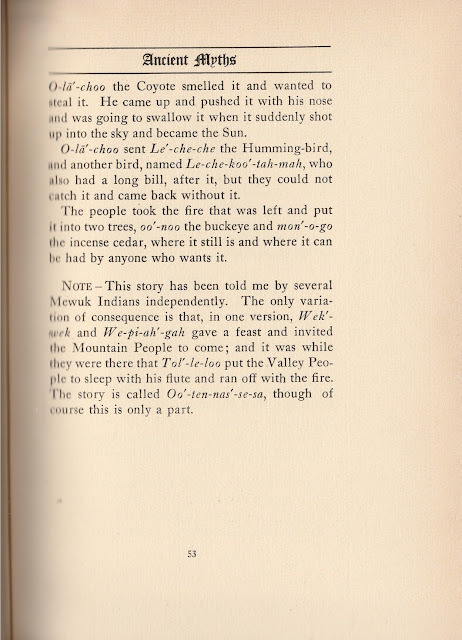 Last week's Pawnee legend about corn and information about George Bird Grinnell made me think about how I value it, both for storytelling and beyond and also why storytellers should know more. Of course I have a story to share, but first I want to mention other stories about this flute. where the Richard Erdoes attributes it to a 1967 New York City recording of its telling by Henry Crow Dog. The link I gave doesn't mention that source, but it is the same story word for word and ties the flute firmly to courting. 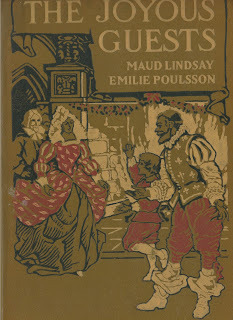 gives a variety of tales and references if you want to fall down the rabbit hole and do your own prowling about the flute. Does that mean only the people of the Plains can claim it? Dunberidiculous! 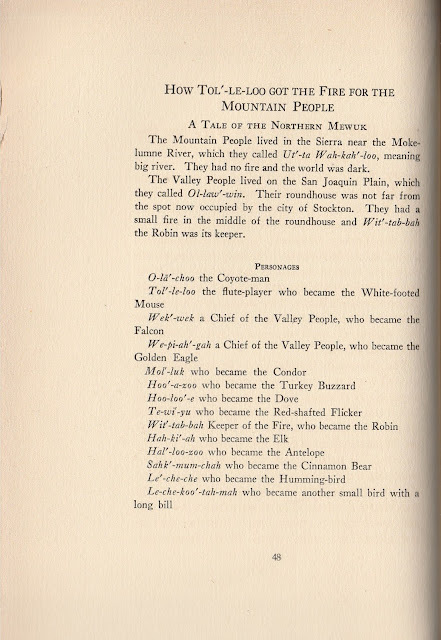 Travel south to New Mexico to the Pueblo peoples known as the Zuni and you can find a story about "The Four Flutes" in a book just new enough, 1926, that unfortunately it's not in Public Domain to print here. 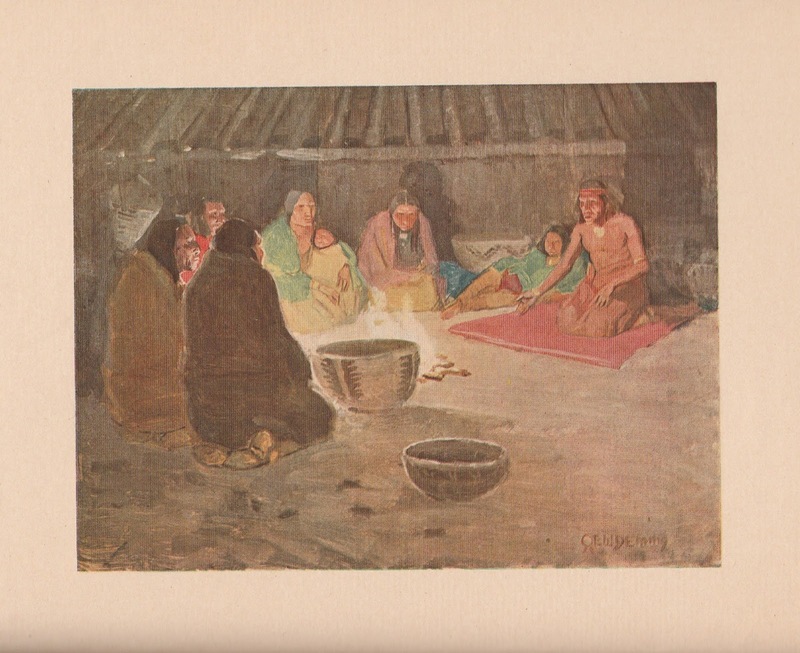 In the story the Zuni sent four elders to Paiyatuma, the God of Dew, seeking new music and new dances. The elders respectfully brought gifts to the Cave of the Rainbow and in return received a performance of the flute and a flute for each of them to carry back to the people. 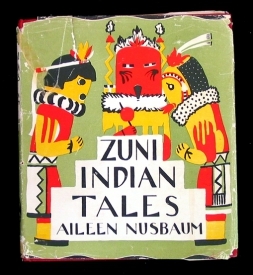 Of course that is a "Readers Digest Condensed" version of the story from Aileen Nusbaum, who learned it because her "small son, Deric, was adopted by the Zunis, and as he sat as the feet of the elders of the tribe and listened to tales, she was able to record them." That in itself is a bit of a story. 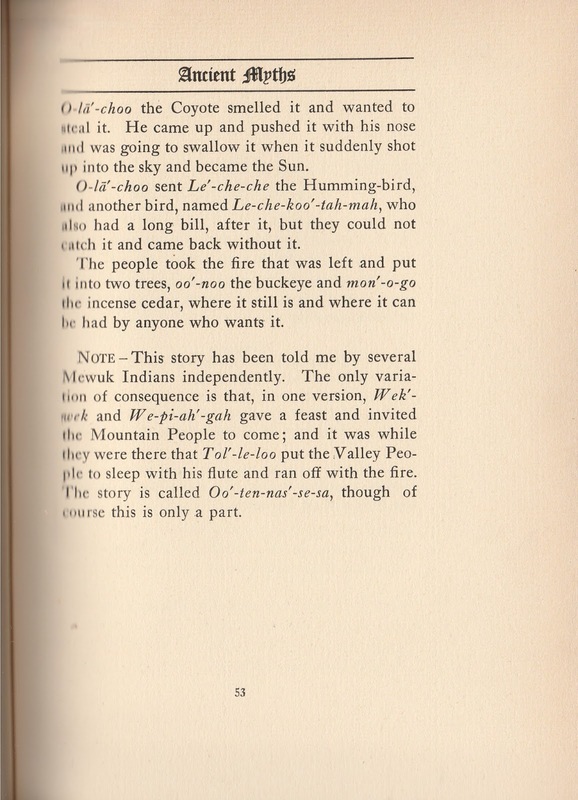 Still that's out west, so I was delighted to find Glooskap giving the flute in the Micmac tale of "How Glooskap, leaving the World, all the Animals mourned for him, and how ere he departed, he gave Gifts to men." 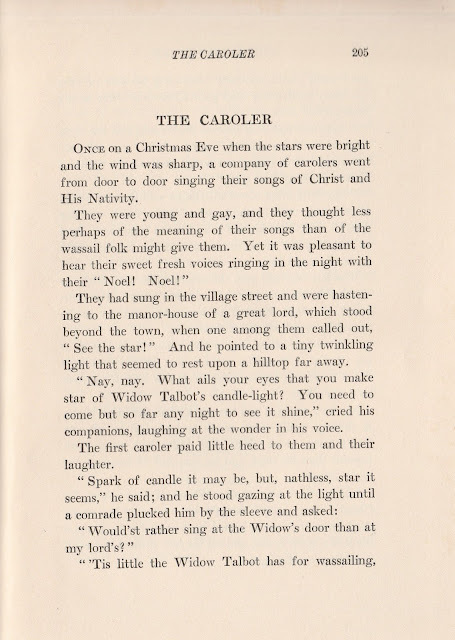 It's a very minor part of the story with three men who heard he was giving gifts to anybody coming to him. 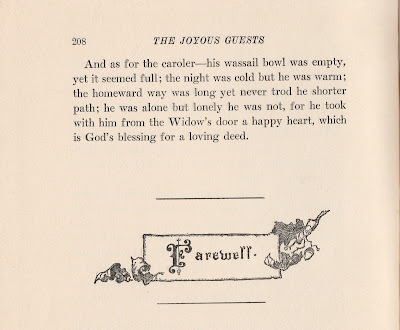 The eldest "who was an honest, simple man, and of but little account among his people, because he was a bad hunter, asked that he might excel in the killing and catching of game. 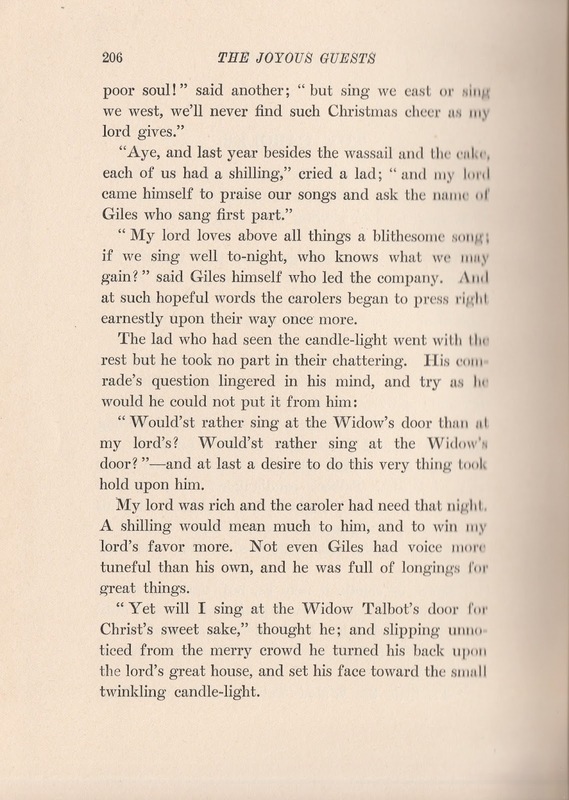 Then the Master gave him a flute, or the magic pipe, which pleases every ear, and has the power of persuading every animal to follow him who plays it. And he thanked the lord, and left." 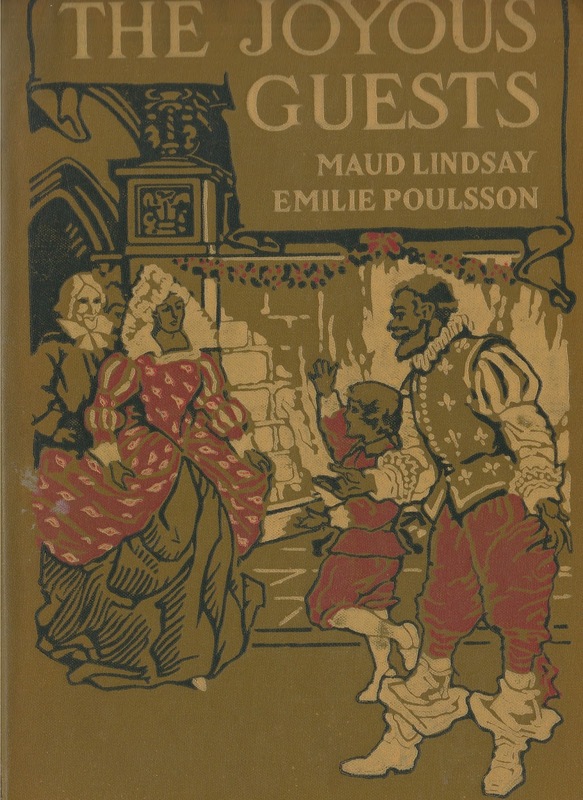 There are many editions of this book from 1884 which carries the subtitle of "or Myths and Folk Lore of the Micmac, Passamaquoddy, and Penobscot Tribes." 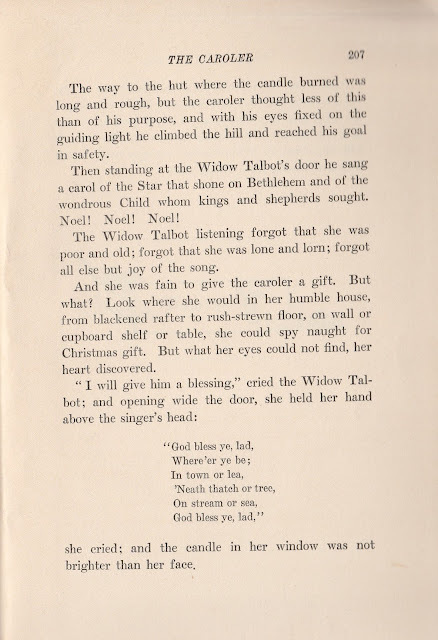 Charles G. Leland was one of the many 19th century amateur folklorists and he's faulted for taking liberties with his texts in an attempt to prove the Norse connection to the Native American. It's a shame he diminished the value of his work because 21st (and even the 20th?) century scholarship has been able to provide the link he sought. 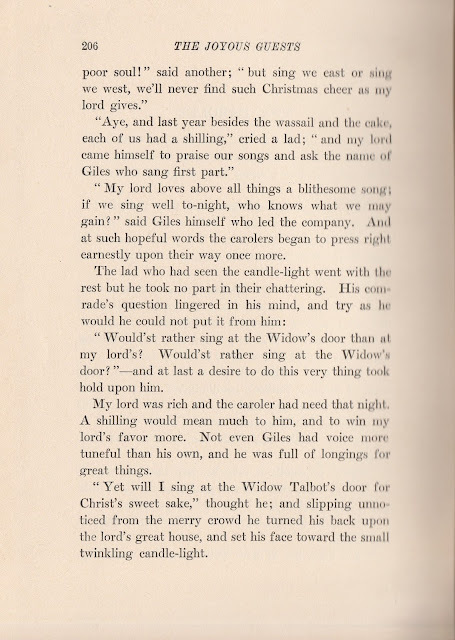 Personally I simply was seeking evidence of the flute among the Woodlands people of the Great Lakes and New England. You've either been patient following these meanderings or have skimmed down to today's story. 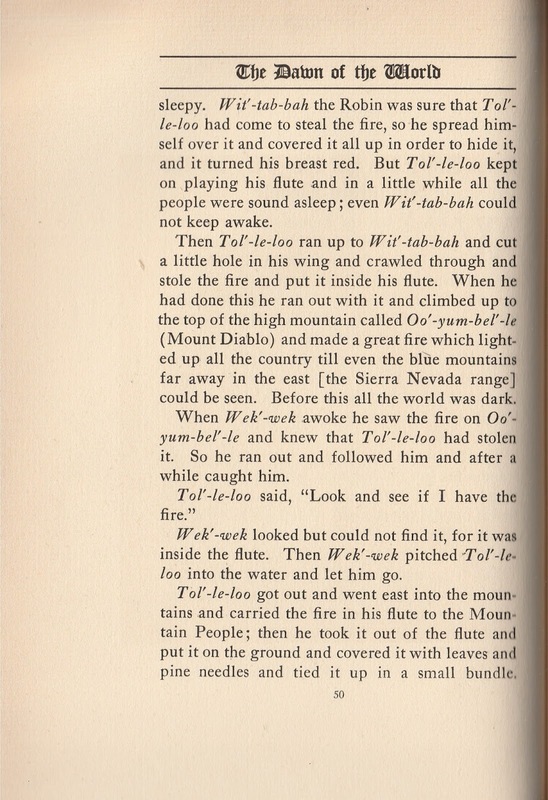 Let's go back out west to Lake Miwok and the Miwok people in California for a dangerous story about the flute. Why dangerous? Because it's a lullaby and it's always dangerous to perform that if you want your listeners to hear the entire story. 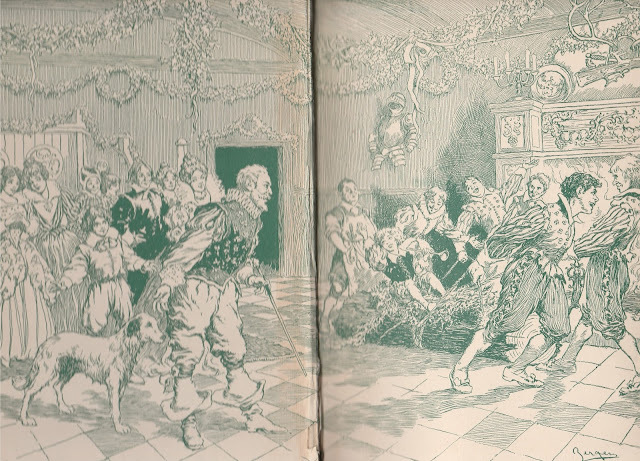 My 1910 book deserves caution, too, so where it's a bit blurry it's not you getting sleepy. I'll insert in the few places where things seem a bit too blurry to guess what is said. "Recital of the Ancient Myths in the Roundhouse at Night"
The blurring is fairly easily figured out except for the names of Hoo'-a-zoo the Turkey Buzzard and Te-wi'-yu the Red-shafted Flicker, Sahk'-mum-chah the Cinnamon Bear and the first time our hero, Tol'-le-loo, the White-footed Mouse is mentioned. "Tol'-le-loo the Mouse playing his Flute and putting the Valley People to sleep so that he can steal the Fire"
This is a story I call dangerous because it definitely is best told playing the flute at the points where it is putting the Valley People to sleep. 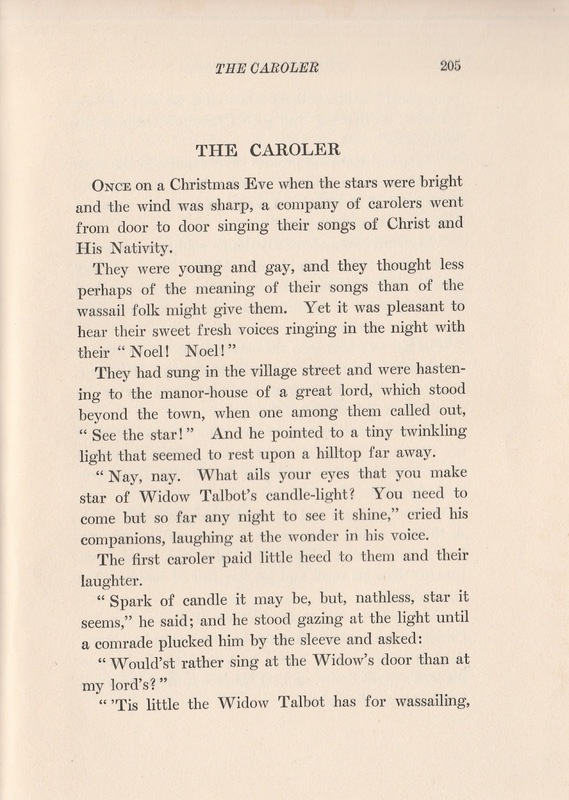 There's another similarly dangerous story from the North West Coast about how Raven steals water for people by telling an intentionally boring story to put to sleep the miser who has the world's water. There's another danger telling this story. 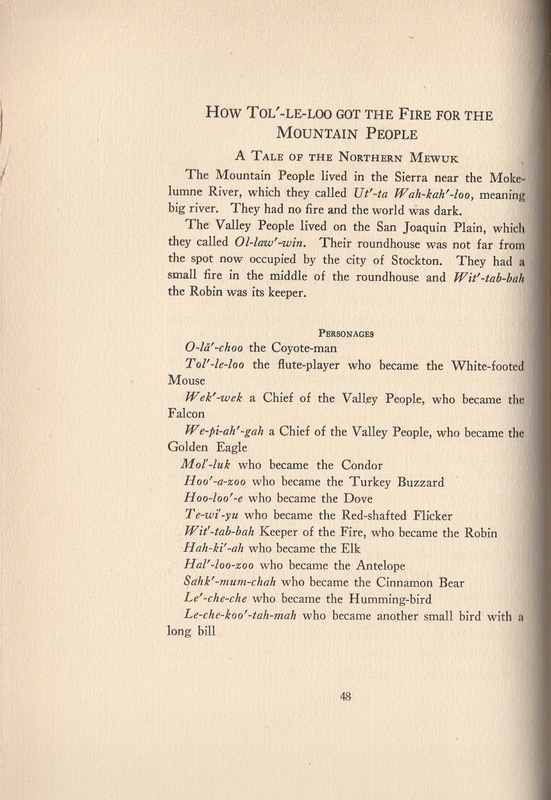 I won't tell those names with the exception of our hero, Tol'-le-loo, the White-footed Mouse, as I'm unlikely to have the resources of Clinton Hart Merriam, who tried to learn the languages of the rapidly disappearing California Indians. 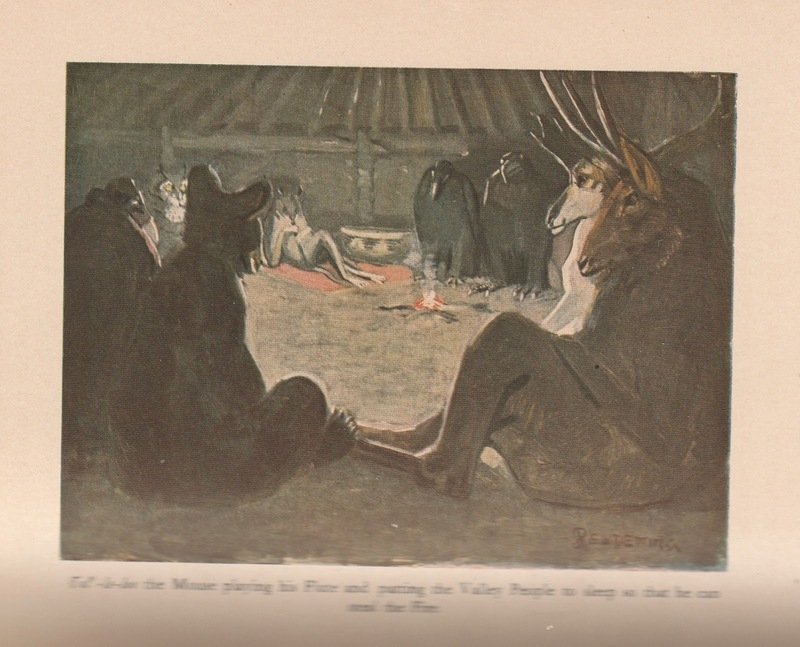 His work as a naturalist made the names of the various animals something he preserved in his telling the story. It's also interesting to learn he abandoned his animal focus in favor of preserving the languages and customs of those Native Americans. He was able to switch careers because he went on the same two-month Harriman Alaska Expedition mentioned in last week's article about George Bird Grinnell. A decade later when Edward Harriman died, his widow gave Merriam a grant to study whatever he wanted and so he became instead an ethnologist. 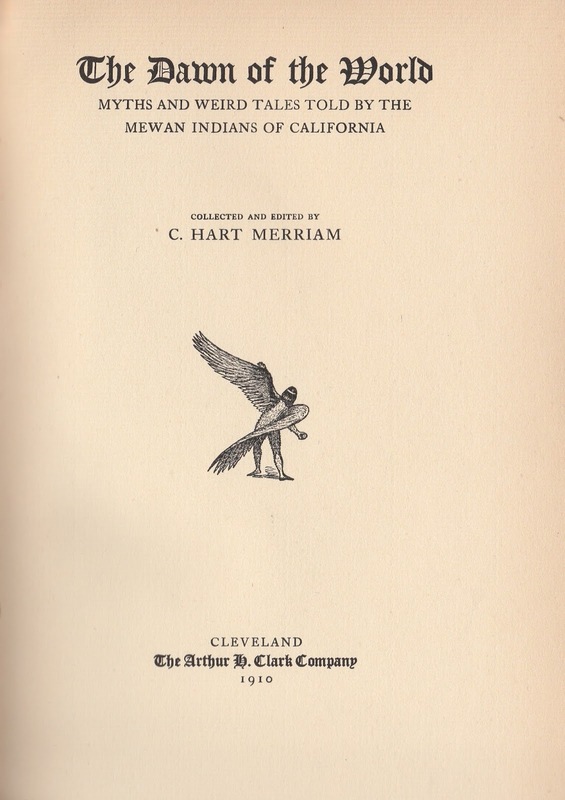 It's sad Merriam's advocacy is largely unpublished and stored in the basement of the University of California Berkeley's Anthropology Museum. Considering that museum's more than 3 million objects, field notes like those of Merriman, and the possibly disintegrating photos, sound and film recordings, researchers need to find ways to preserve and bring them into a useful view. It sounds like the end scene of "Raiders of the Lost Ark." Possibly that's a danger when too much is gathered. 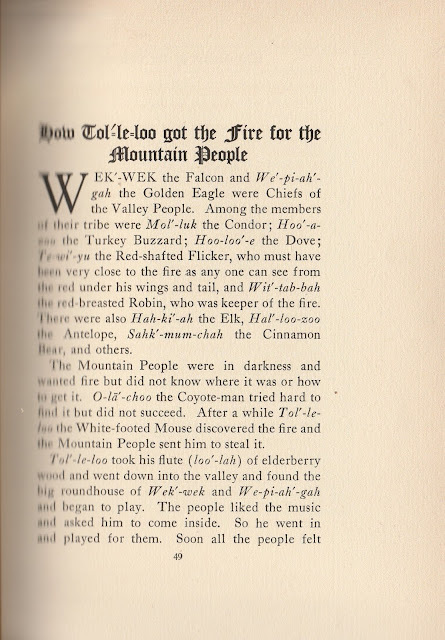 Like Tol'-le-loo I got fired up in my own gathering, in this case stories, using the flute. Today's article has gone on long enough. Next week I want to talk about why the Native American flute is useful, easy to begin playing, and relatively inexpensive for a musical instrument.